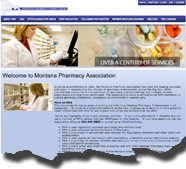 Johnson & Associates, Inc. is based in beautiful Helena, Montana; the Montana state capital. Our team has been developing on-line e-commerce web sites and web site applications since 1994! Team members were involved in putting up the FIRST commercial web site in the state of Montana and have developed SITES that SELL for our clients ever since. Our team is comprised of graphic artists, marketers, layout people, HTML specialists, database designers, and programmers. Johnson & Associates, Inc. works with a variety of businesses, from small mom and pop organizations to state government and military entities. Johnson & Associates was founded in 1998 by Tobe Johnson. The company went through the incorporation process in 2000. In 2001 the company purchased Montana Internet Frontier, a web site development firm based in Helena, Montana. In 2005, PhoenixRising of Washington DC was incorporated into our service offering, offering low-cost automated self-serve hosting. In 2006, Johnson & Associates, Inc. began doing all the web site development and web site hosting for Lyon Consulting Group and in 2007-2008 began sub-contracting development and hosting services for companies such as Sharitz Marketing Solutions of Atlanta, Georgia, Kelly Curtis of Glenside, PA and Arnold Agency of Charleston, WV. In 2009 and 2010, Johnsons.Net began contracting for additional companies such as CU Source and Allegra Helena and opened an office in Great Falls, Montana. 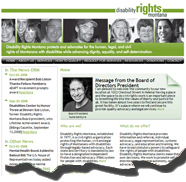 In 2010, Johnson and Associates, Inc. absorbed Alexander Designs and opened an office in Billings Montana with Noel Alexander as the Client Services Manager. 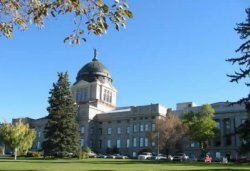 While Johnson & Associates, Inc. has a focus on serving Montana, business is conducted across the world. "Hometown service with big city quality is our goal" says Tobe Johnson. Johnson & Associates, Inc. has worked with a variety of companies of varying sizes- from the small mom and pop start up business to large corporations and government entities. Much of our work utilizes interactive technology, database back-ends, and real time e-commerce processing. Regardless of your size, we can help you accomplish your goals.